A fantastic, fun pair of contemporary seed pearl and rosecut diamond round dangle earrings. 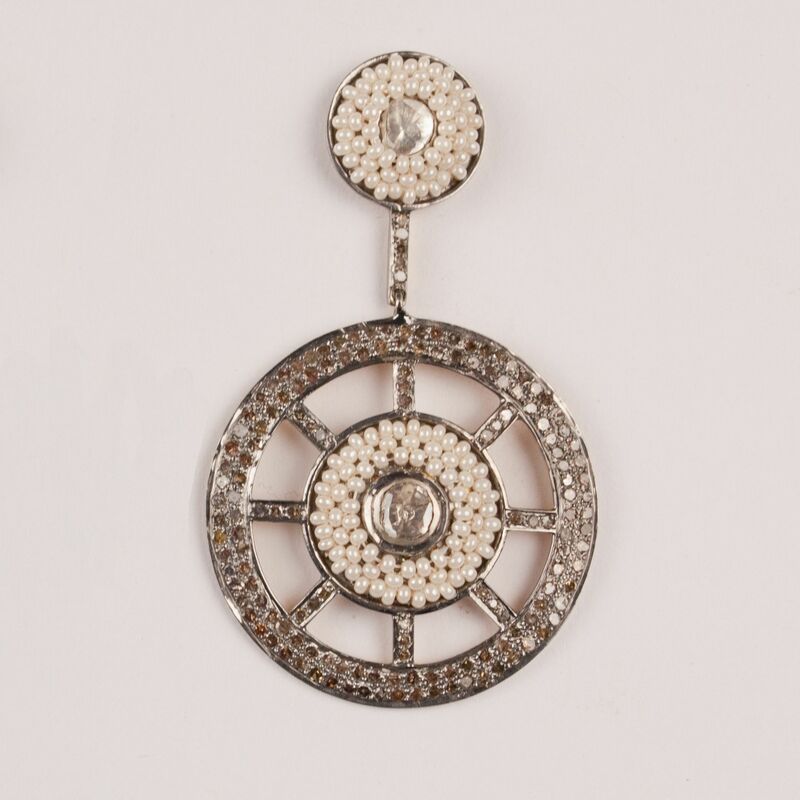 Set in sterling silver, with gold vermeil on the back, each handcrafted earring features radiating spokes of pave set diamonds and natural pearls framing a polki diamond in the center and stud of the earring. 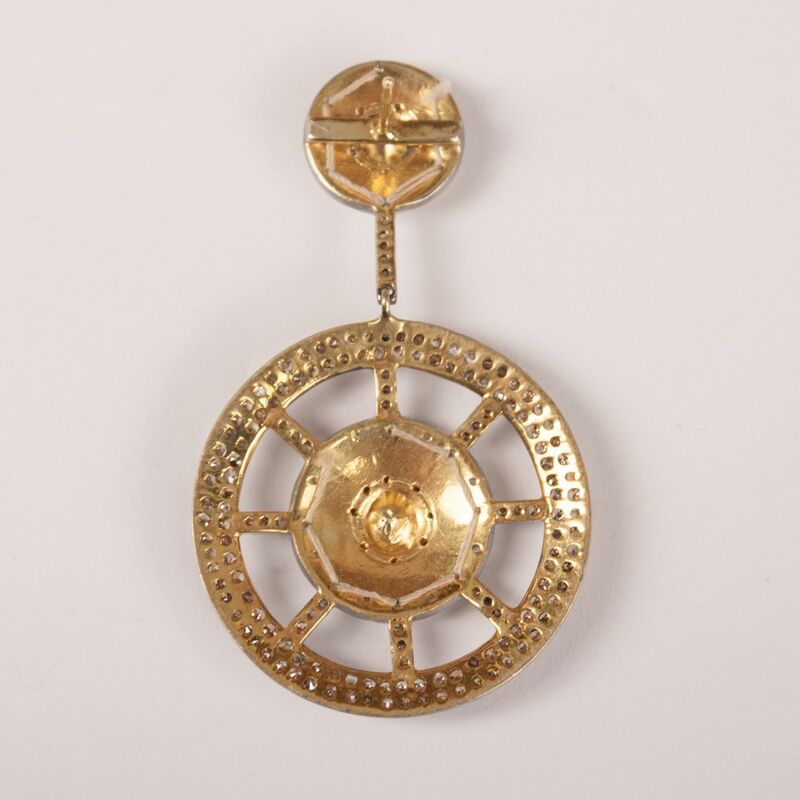 Posts and earring backs are 14-karat gold. 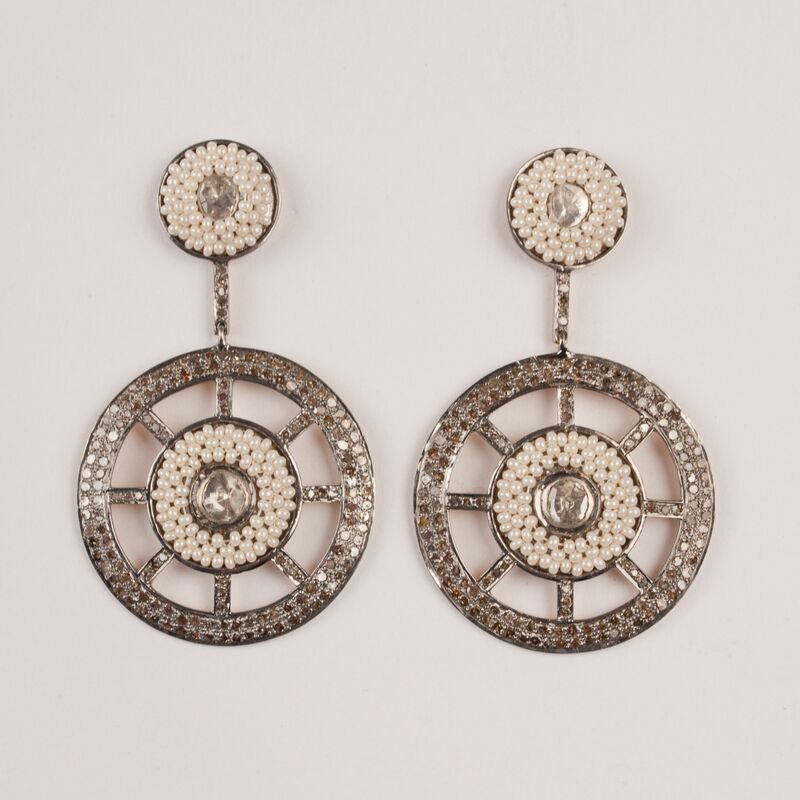 Earring measures: 2.25 inch length; 1.32 inch width.